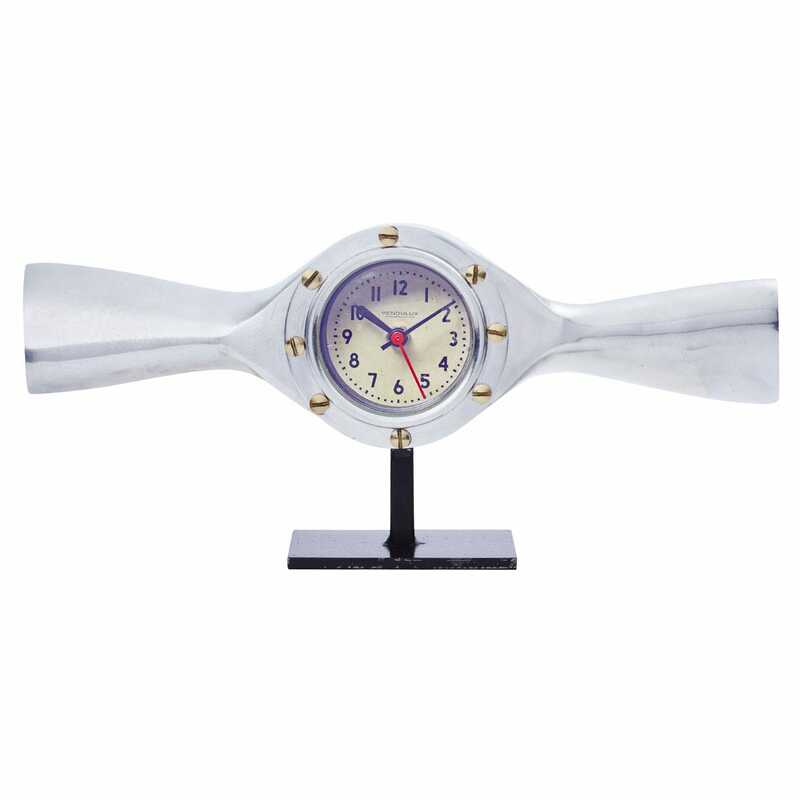 This amazing piece of aviation décor pays homage to Alberto Santos-Dumont, aviation pioneer and designer of the first aluminum propeller in 1906. 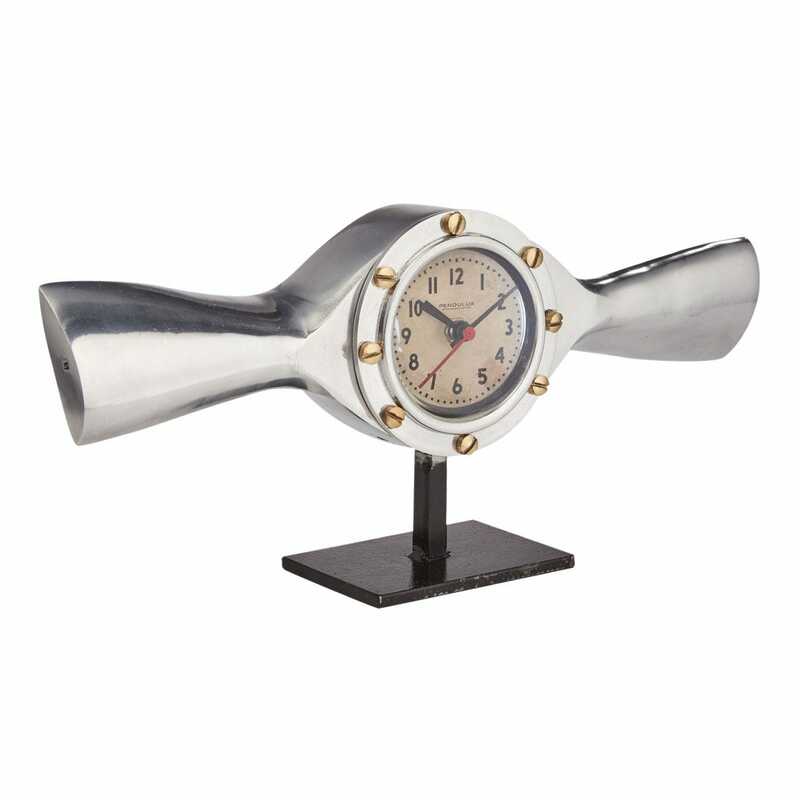 Crafted from cast aluminum, this Propeller Table Clock features a vintage clock face housed in the center hub with 8 brass bolts. It's mounted on a matte black iron base. Measures about 13”l x 6”h. Requires one AA battery.